The IDS-205G is a 5 port Managed Ethernet Switch that can operate in industrial environments providing advanced performance and enabling real-time deterministic network operation. 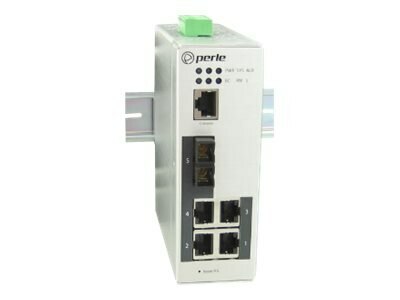 Four 10/100/1000-Base-T Ethernet ports are available for networking Gigabit and Fast Ethernet devices. One 1000Base-X fiber connection is available to extend Gigabit Ethernet operating distances over fiber.